Roof Asset Management, Inc. infrared technicians are Infraspection Institute Certified Thermographers. Christophor Jurin has been involved in leadership positions within the roofing industry throughout his career. In his 20th year as an active member in the industry, Chris has held various leadership positions within the companies he has worked for as well as within the NRCA (National Roofing Contractors Association), the national trade association of professional roofing contractors in the United States. 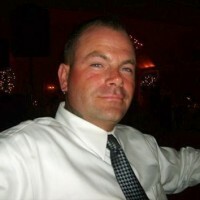 Christophor is currently the President of Roof Asset Management Inc. as well as Jurin Roofing Services, Inc. In addition, he has served as the Vice-President of National Roofing Partners. Also, he has served two three year terms as a member of the board of directors of the National Roofing Contractors Association. He has contributed additional time in service working with various committees in each of the organizations. He has worked on multiple roofing projects as a roof consultant and project designs in excess of 10 million square feet over his career. His experience with systems includes all types including single-ply, built-up, modified, and metal, shingles and various steep slope materials. He has participated in various educational services through the NRCA including recently completing the series “Roofing, Energy and the Environment.” Chris is also owner of Construct-ed, an online training portal for the construction industry. 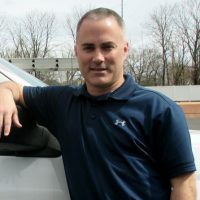 Ed Mullen is the roof asset manager and infrared technician for Roof Asset Management Inc. Ed has been involved in the roofing industry for over 20 years as an asset manager, evaluator, roof consultant and infrared technician. He began his career in the roofing industry in 1993 as a roofing mechanic. Since his entry into the industry, Ed has dedicated himself to building his skill sets in the industry and to providing his clients with top notch service. Ed has worked as a leader in the installation of many systems. He has worked with various manufacturers completing quality installations for many clients. His skill sets are respected among his peers in the industry. He has received manufacturer training through various roofing and building manufacturers including Carlisle SynTec and Butler Buildings. He has completed various training including receiving his Infraspection Institute Level 1 Infrared Thermographer certification. This certification provides the clients of Roof Asset Management Inc. and RAM Infrared with the comfort that their infrared services and reports are being completed by a Infraspection Institute trained infrared technician. Ed was also certified through the Roof Consultant Institute (RCI, Inc.) as a Registered Roof Observer Reg. #1515.